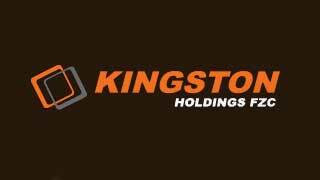 Kingston Holdings was established in 1996 and is head­quartered at the industrial capital of the UAE, Sharjah International Airport Free Zone (SAIF Zone). With multiple business arms, Kingston Holdings is involved in manufacturing, regional distribution, third-party logistics, headhunting, smart home solutions, advertising, me­dia promotions and project development. Kingston Holdings’ international partnerships include Pierlite Middle East, Rexton Technologies Middle East, GP Battery Marketing Middle East, Glen Dimplex Middle East and Xpelair India. For the new Head Office in Sharjah Airport Free Zone, a complete high performance network infrastructure was required. A scaleable network design was required and as much as possible, elements from the existing infrastructure and network was required to be used. Kingston has multiple companies working out of the Head Office location and remote branches for many of these companies. Pinnacle was awarded the order based on the suggested cost-effective solution and further more due to the existing support relationship for Infrastructure and ERP solution. HP Switching, Fortinet firewall and full-fledged Avaya IP Telephony were implemented. Wireless was a critical requirement and this was made available throughout the large office space. All the remote branches were re-aligned to the new Head Office network over a Wide Area Network. Pinnacle has implemented Orion ERP to streamline the operations of the Group companies. Financial and operational reports at individual company level or consolidated are always available.